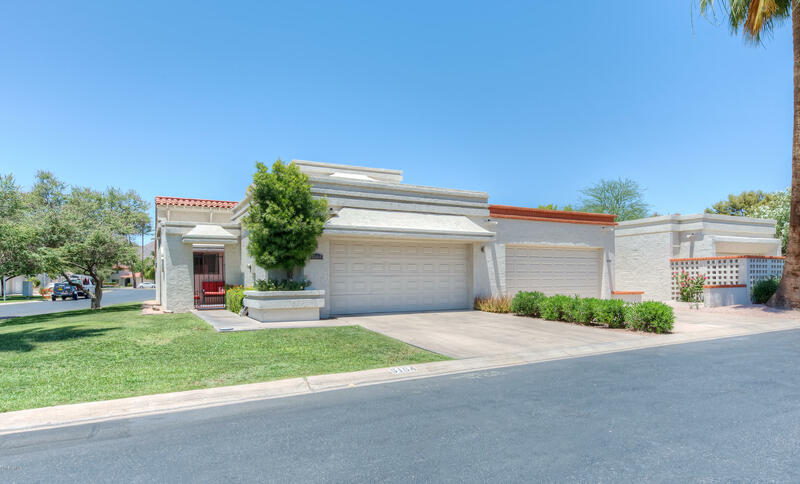 All SCOTTSDALE IN TOWNE VILLA homes currently listed for sale in Scottsdale as of 04/25/2019 are shown below. You can change the search criteria at any time by pressing the 'Change Search' button below. "Location, Location, Location!! This is it: northeast of Chaparral Rd. & Miller Rd. convenient to Old Town restaurants, shops & galleries as well as Hilton Village. Short walk to the greenbelt paths or canal bank. Comfortable, charming three bedroom townhouse in a well maintained community. View of Camelback Mountain from the living room & back patio. Beehive fireplace in living room. Gated private front entry courtyard ideal for your breakfast patio. Two Master Suites, one is upstairs and anothe"
"Complete Beauty! 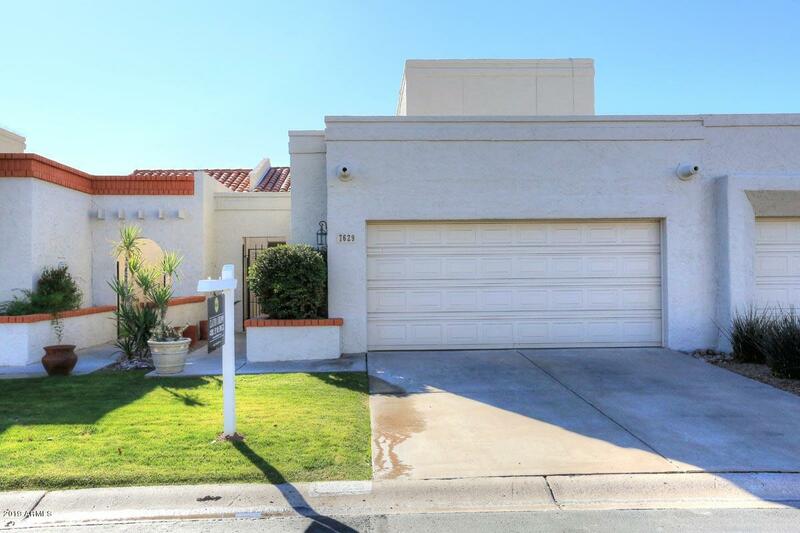 3 bed, 2 bath Featuring a 2 car garage, vaulted ceilings, dining and living areas, a cozy fireplace, an inner courtyard and Arizona room. The elegant new kitchen is equipped with ample cabinetry, a pantry, tile backsplash, and matching new appliances. Also including 2 beautiful master bedrooms with full baths and spacious walk-in closets. Located in a fabulous community with a refreshing resort-style pool. 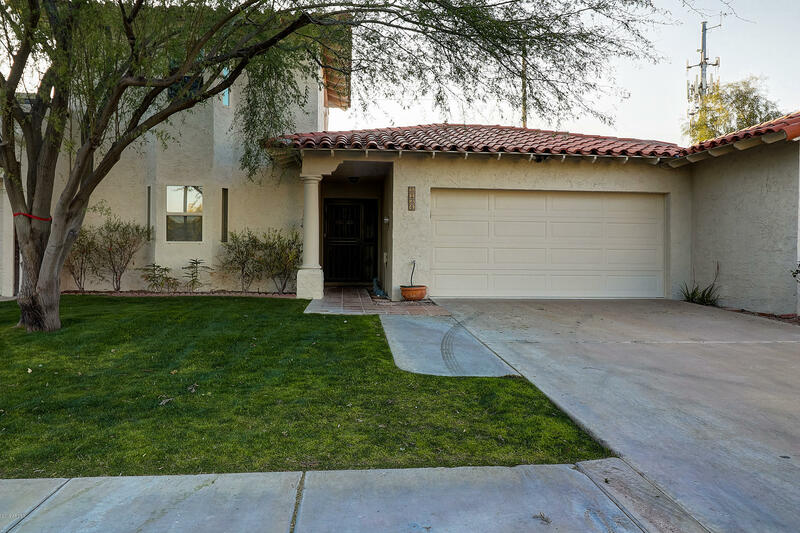 Property now for sale in Scottsdale! High end restaurants, Fashion Squa"
"Charming townhome in the heart of Scottsdale! Close to shopping, dining, entertainment. Gated courtyard, beautiful great room with hardwood floors and cozy fireplace. Kitchen updated in 2015 with granite countertops, stainless steel appliances, breakfast bar. Two master bedrooms, one on main level, one upstairs, walk-in closets. 3rd bedroom on main level. Covered patio with community pool and spa steps away off of patio. Well maintained."